Russell has sent me more stickers. They arrived just before I went off to Portland. Unfortunately, my laptop’s getting quite full. Actually, it’s more Holly’s laptop though there’s a bit of Holly peeking out at the top. 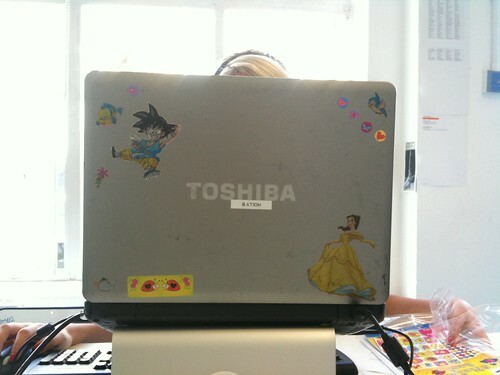 You can see she’s a big fan of the Disney Princesses.